Hi again everyone! Here we go with another Before And After challenge for the month of April. I want to see what you all can come up with. This challenge is going to have a Spring/Easter theme. So get out your thinking caps and don't forget to include both pages to the challenge and have fun!! 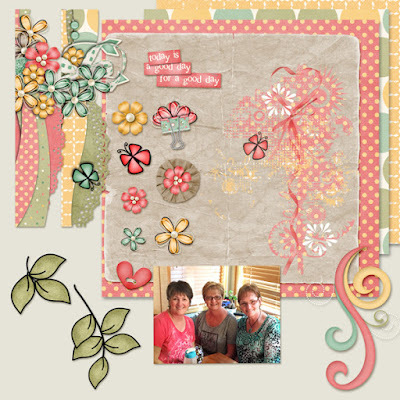 @ScrapaholicSherry, is this the one where we show our layout 'ingredients' and then the finished layout? Thank you for the challenge Sherry. WOW, such fabulous before and after pages @BrightEyes! Love the photo and all the elements you chose. Thanks for joining in the challenge!! WOW, such super before and after pages @doglvr49! Love the elements and the photo that you chose. Thanks for joining in the challenge!! April Before and After Challenge...this is after. Image is free from Pixabay. This is always a fun challenge. I love seeing the start and finish to everyone's layouts. WOW, such amazing before and after pages @Anita! Love the photo and the elements you chose. Thanks for joining in the challenge!! WOW, such gorgeous before and after pages @WendyP! Love the elements and the photo you chose. Thanks for joining in the challenge!! WOW, such adorable before and after pages @Poppy! Love the sweet photo and elements you chose. Thanks for joining in the challenge!! WOW, such beautiful before and after pages @bahtoy! Love the photos and the elements you chose. Thanks for joining in the challenge! !